For Vietnamese, Tet, the Lunar New Year Festival, is the year’s biggest celebration as they get together with their families and visit friends. People sit together to enjoy meticulously prepared dishes. 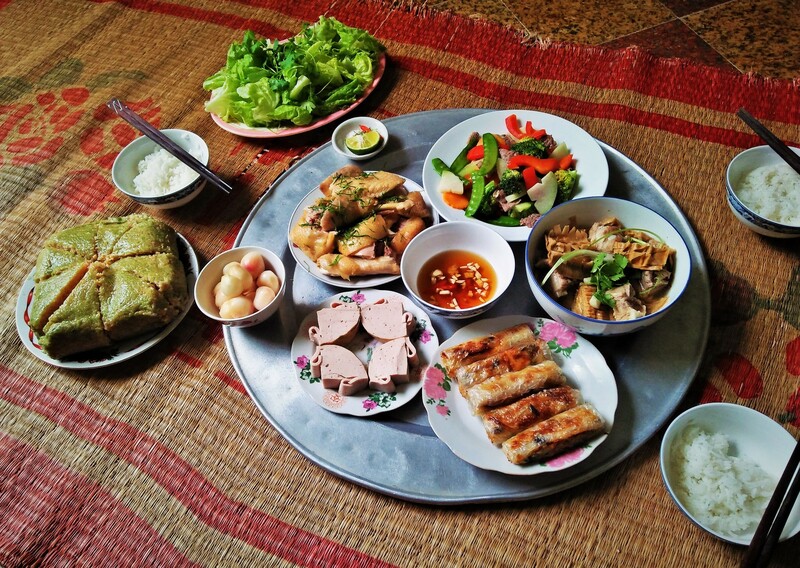 A traditional meal may vary from region to region depending on local specialties and the climate. In the north, the weather usually gets chilly and slightly rainy during Tet. 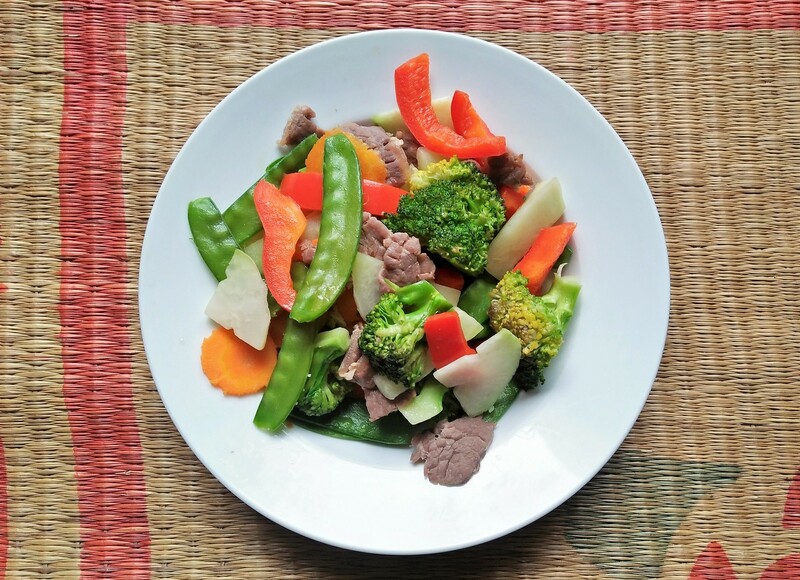 The New Year meal, therefore, consists of dishes made from starch, vegetables and meats. The meal also looks appealing, as many food writers testify with their emotional descriptions. “The New Year spread of Hanoians does not need to be abundant, but it is a harmony of elements, just like a painting,” wrote Bang Son, a 20th century writer with a special interest in Hanoi. 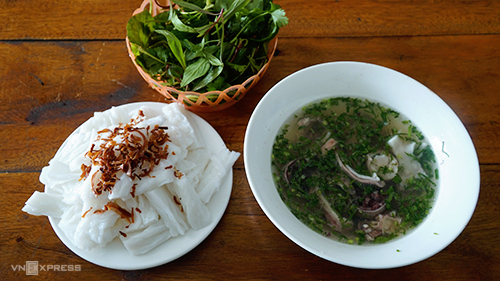 A northern meal usually includes dishes that are easy to keep for several days and warm up again and again, Trieu Thi Choi, a cuisine expert says. As time passes and food preservation becomes less of a challenge, the following dishes however remain indispensable at every Hanoian New Year meal. The banh chung is emblematic of the Tet meal. Though eaten all year round the banh chung becomes a craving during the Tet holidays and is ubiquitous throughout the celebrations. The banh chung’s origin is traced back to the legend of a prince who created the square cake to represent the land we are living on. Eating the cake during New Year is also an old and well-preserved tradition. The banh chung is made of glutinous rice and filled with mung bean, fatty pork, pepper and salt. It is then wrapped in the leaf of a dong plant, a species widespread in Asia, which gives it the eye-catching green color. The cake is usually eaten with sour pickled onion. The pickle serves to moderate the strong flavors of the pork and the dense texture of the rice. 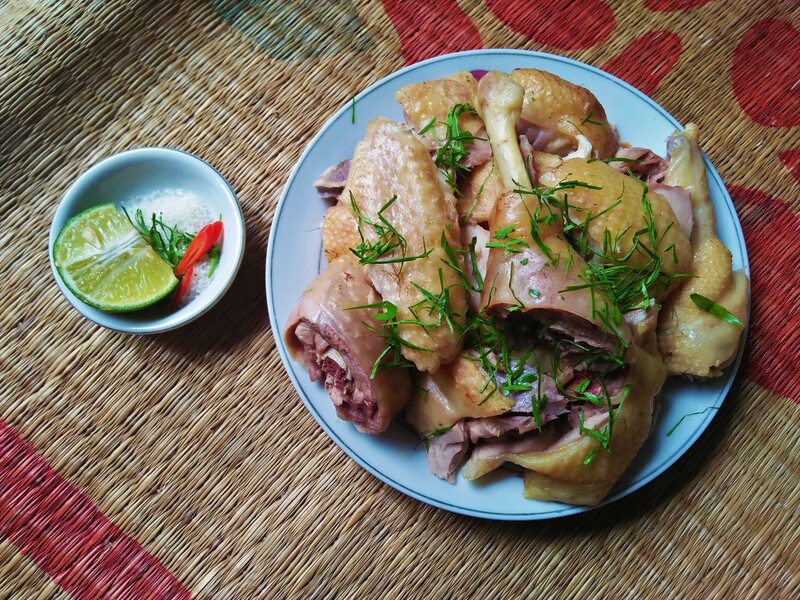 Only ranking behind banh chung in importance, boiled chicken is also an essential part of the New Year meal. Some believe the dish represents a lucky new start to the family. The chickens used to make the dish are native breeds. After cleaning, the whole chicken is boiled in a large pot until the flesh is fully cooked and the skin turns a bright yellow color. The cook then lets the meat dry and harden before chopping it into pieces of uniform size. The chicken pieces should fully cover a round or oval dish. A special ingredient in this dish is lime leaf. The leaves need to be sliced into super slim strands and are placed on top of the chicken to add a special aroma to the meat. The chicken is only complete, however, with a dipping sauce containing pepper, salt, lime juice, and lime leaves. Another meaty component of the New Year meal is the sausage, which could be pork sausage, pork’s ear sausage or cinnamon pork sausage. Whichever they choose, people start to buy or make it early since the dish keeps quite well. In Vietnamese new-year days, people are very busy visiting each other. Therefore, a ready-made sausage is very convenient for a meal, since people don’t usually have much time to cook everything during the occasion. The basic pork sausage is made from ground pork mixed with corn flour, baking powder, sugar, white pepper, and fish sauce. 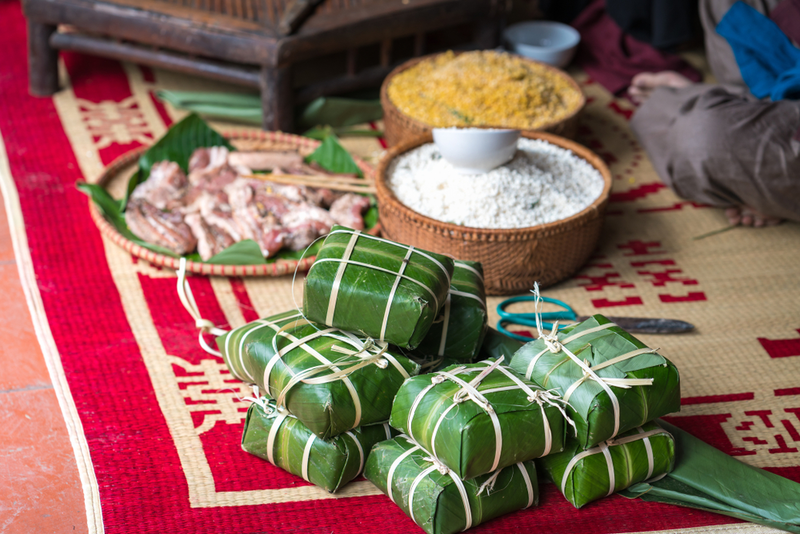 The mixture is wrapped in banana leaves into a cylindrical shape and steamed. The wrapping is possibly the most difficult task since it requires strength and skill to squeeze the meat into the wanted shape. The sausage made for Tet needs to be especially fresh, dense and easy to slice. 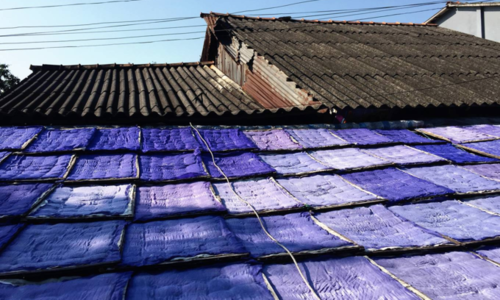 They are made meticulously so that the surface is completely smooth. In the chilly days of winter, a bowl of hot soup is an indispensable part of the meal. 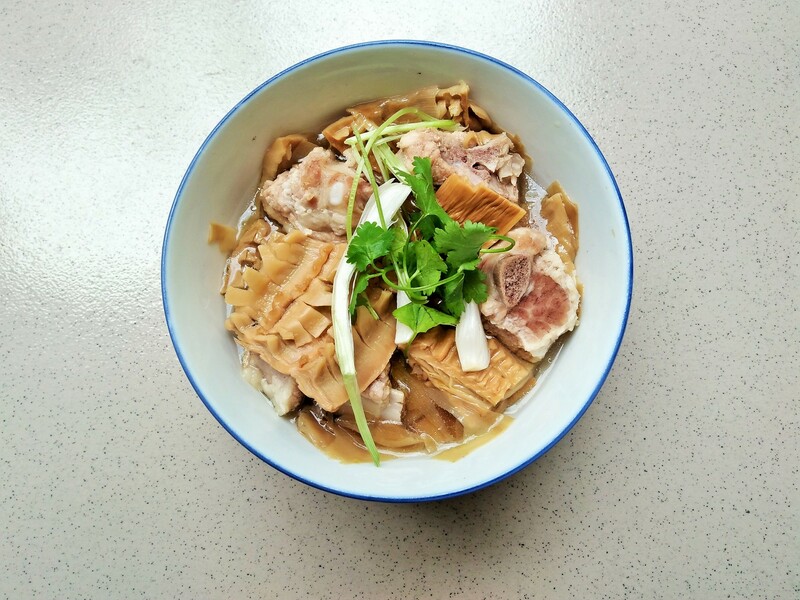 One of the traditional soups made during New Year is the nutritious pork rib soup with bamboo shoot. The bamboo shoot can be dried. It is a bit tough. The bamboo shoots are boiled several times to get rid of dirt and then cooked together with ribs or pig trotter. At the top of each sizzling bowl of soup is some poached green onion. 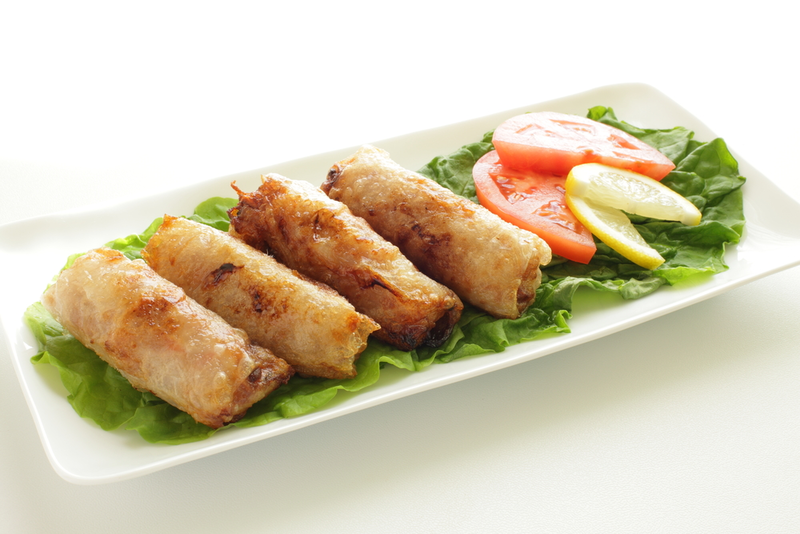 The spring roll, arguably one of the most popular Vietnamese delicacies, is a sure-fire part of the New Year meal. It is a harmonious mixture of many ingredients like fatty pork, onion, Jew’s ear mushroom, vermicelli, egg, pepper, carrot, and bean sprout, all chopped and mixed with spices. 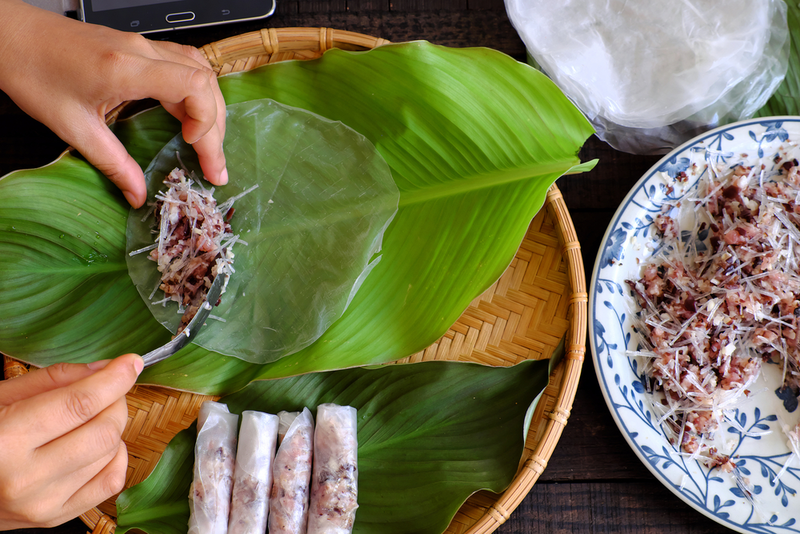 The mixture is then stuffed in thin, white rice paper and rolled, with the cook needing to ensure it is snugly ensconced inside. 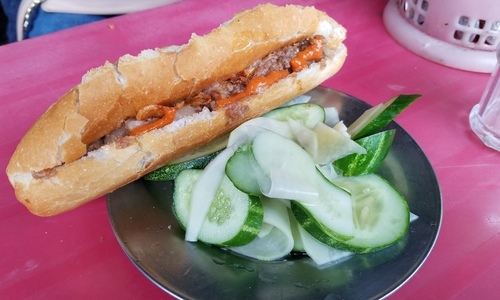 The rolls, after being fried, are served with fish sauce mixed with lime juice, sugar, garlic, and chili with fresh lettuce and spice greens in accompaniment to balance the greasy taste. It is no overstatement to say that a well-made nem ran brings an explosion of flavors. 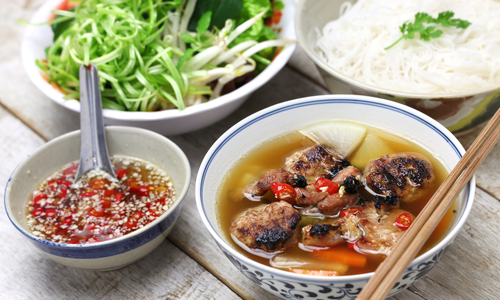 A mixed stir-fry dish is one of the most important components of a traditional Hanoi Tet meal. The dish basically comprises a wide variety of vegetables. A stir-fried dish could include slices of carrot, baby corn and kohlrabi stir-fried with pig kidney.